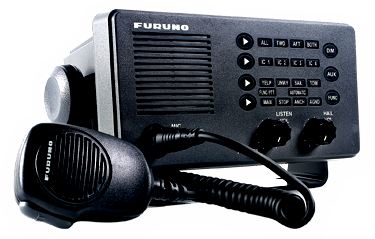 The Furuno LH3000 is a high-performance 30 watt loud hailer with an intercom function. The LH3000 is designed for a wide variety of ships, requiring high quality onboard and ship-to-ship communications under almost all circumstances. Solidly built and waterproof, the LH3000 contains a high quality built-in speaker and a microphone. On its front panel, there are easy-to-see states indicators. By generating voice or eight internationally acknowledged warning signals from the horns, the LH3000 notifies nearby vessels of your presence and status regardless of visibility conditions. The LH3000 can be connected to various equipment to enable useful functions. It can function as an intercom, when connected to optional speakers. Up to four intercoms can be connected for two-way communication between the bridge and one or all intercom stations. When connected to an external alarm unit, the LH3000 can function as a security alarm. An auxiliary audio input allows transmission of music or other external audio signals (from CD player, radio, etc.) to the intercom speakers and external horns.